Browse mica suppliers by country and region. We Quartz Grits,Powder and Lumps. We provide Quartz at highly affordable price range to suit the clients requirement. 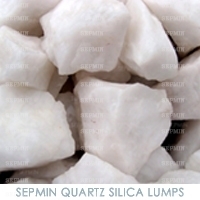 FEATURES OF "SEPMIN" - A GRADE QUARTZ High-purity Quartz (SiO99.57%,Fe2O3 0.004%),(EC below7 ) High strength and unique thermal and electrical. Produces in all forms (Lumps, mesh and powder). Properties known with milky white color and translucent. Nature Transparent. 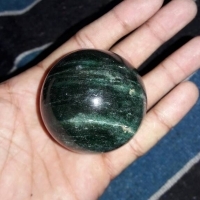 Hard, abrasion resistant, chemical stability, silicate mineral. Free from impurities. Optimum chemical and physical properties. Suitable particle size. Perfect for various applications. Well processed. 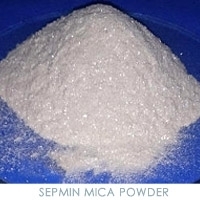 SEPMIN Mica Powder is manufactured in hammer mills and screened to the required mesh size. High quality raw material is used to produce a superior product. Our Mica Powder is manufactured in hammer mills and screened to the required mesh size. High quality raw material is used to produce a superior product. Standard Grades: Mesh 60 and 300 mesh Applications: Electrical Apparatus Electric Heating Appliances Electrical Control Electrical Lighting Equipment Industrial Electric Heating Appliances Mechanical Uses Miscellaneous Electrical Uses Paints Plastics Welding electrodes Our product line also includes Fabricated Mica Insulators & Components, Mica Paper, AFM Mica, Mica Flakes and Mica Scrap. Short on time? Let mica sellers contact you. our company mines & exports mica from kenya-east africa we would wish to be your suppliers what monthly quantities do you purchase? Quartz, feldspar, mica, talc, dolomite. Our fine powdered mica 1250 mesh has very high heat resistance over 1000'c and over 92% in whiteness then it can be used for electronic insulator, plastics, roofing, rubber, welding rods and paint. Also it can be used for paper industry and asphalt and building construction as well. Also we can provide customized product upon customer's request. Talc, mica, fly ash, bauxite, calcined bauxite, potash feldspar, quartz, sand, silica sand, micro silica, silica fume, bentonite, bleaching clay, ball clay. Oilfield chemical, industrial chemical and loss circulation material, hematite powder, barite powder, barite lumps, bentonite powder, mica powder, mica flakes, kwick seal, cotton seed hull, gaur gum powder api grade, walnut shell, quartz powder, lumps, sand, silica sand, garnet sand. Steel, aluminium product like aluminium foil, aluminium wire, aluminium wire rod, scaffolding products, chemicals, rubber, mines products, galvanized steel wire, galvanized steel coils, steel pipe, steel plates, galvanized steel sheets, steel strand, steel strips, steel tubes, steel angles, steel bar, stainless steel coils, stainless steel pipes, stainless steel sheets, stainless steel strips, stainless steel wire, steel tie rod, aluminium ingots, aluminium strips, aluminium tape. Mica splitting Pieces of medium quality mica having a thickness of less than 1 mil are classified as mica splitting. These splitting are supplied either "Bookform" type or "Loose" type. These splitting are used in the manufacture of Micanite related products .